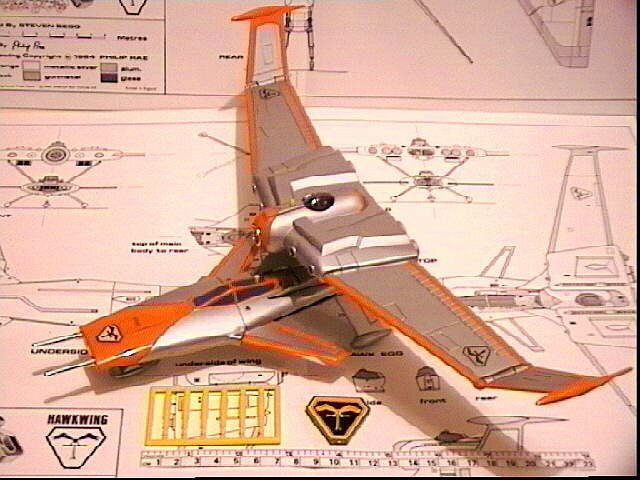 The Bandai ' deluxe ' Hawkwing action model is 8 inches in length, and is plastic construction with some metal parts. This is two separable models in one. The 'Hawk' section and the 'Wing' section. The hawk section has spring loaded opening wings. The wing section has a span of 14.5 inches, and is equiped with a missile launcher. 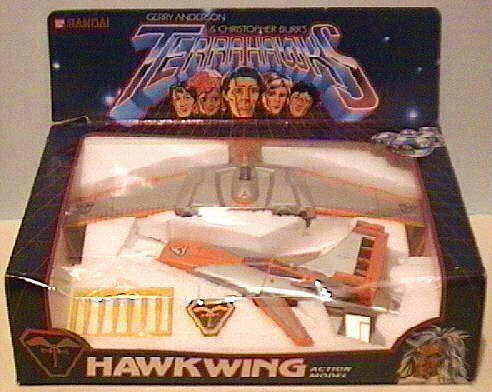 The model comes complete with six yellow missiles, and a Terrahawk badge. 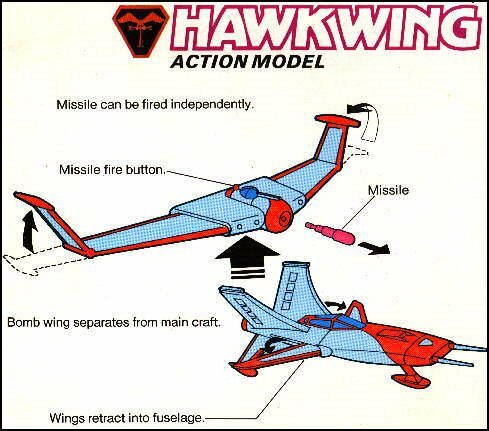 Artwork from the underside of the Hawkwing box.